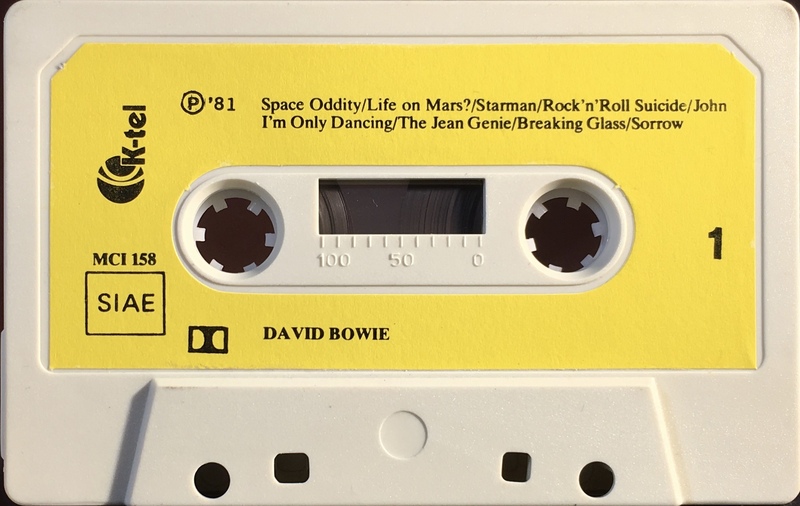 The Best Of Bowie: Italy; K-tel, MCI 158; 1981. 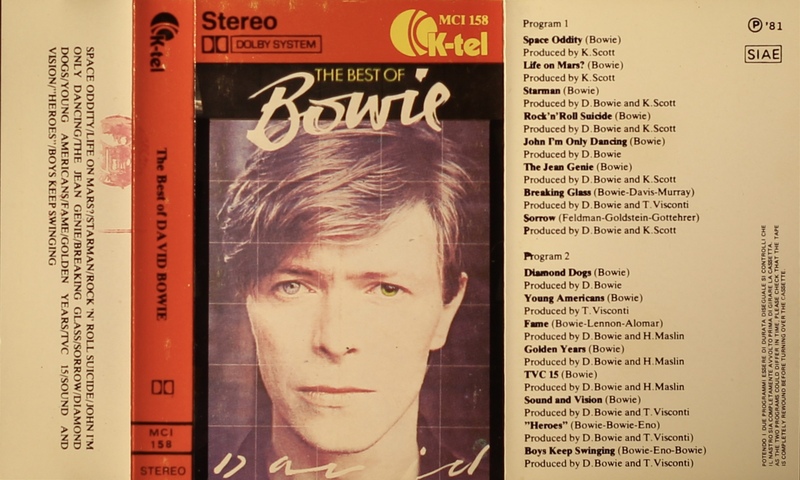 Red tab top with ‘Stereo’ and ‘Dolby System’ top left and the K-tel logo top right; cover photo bordered in black, red spine with white rear and inner panel with track list on rear and inner panel. The cover is treated, folded card. SIAE stamp on spine is the post 1979 type. Care information in English and Italian on inner panel. 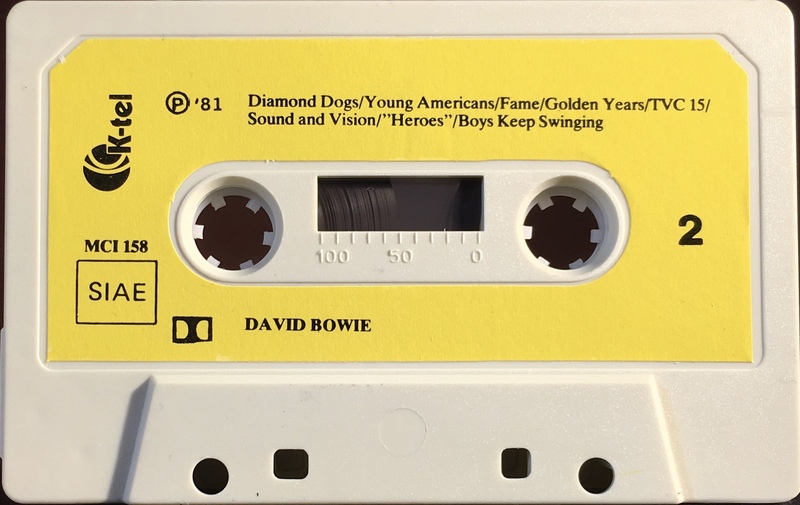 Black ink on yellow label onto grey shell with ‘K-tel and SIAE logos..